Whenever we have a prolonged cold spell in Alberta, we get hundreds of “attic rain” phone calls. Luckily, we don’t have extended periods of cold, too often, but when combined with warmer chinook weather, we get a phenomena known as attic “rain”. Attic rain is a circumstance where moist air in the home, driven by convection forces and heat loss, migrates into your attic and forms a frost on the roof sheathing, roofing nails, and other cold metallic penetrations. Much like ice dams on the roof, these frozen areas can partially thaw during the day, and refreeze at night, leading to a build up on the frost and even ice. When a chinook hits or the weather warms up, droplets of water will fall with the melting frost and ice. Because it’s most prominent on roofing nails, it’s scattered all over your attic, and may sound like rain as it falls into your insulation and the back of of the drywall ceiling. Counterintuitively, attic rain is very common in newer, better insulated homes, than most people think. Older, poorly insulated homes, tend to have hot attics. Because of extensive, and expensive heat loss, into the attic, it' can get quite warm up there, and it will “burn off” frost, before it has time to build up. This heat, is not a cure all, as it can do significant damage to your roof sheathing and shingles. Newer homes, or more insulated homes, have much less heat loss into the attic and this cold attic, will freeze moisture once it finally does pass into the attic. As far as solutions, there isn’t a one size fits all way of eliminating something that happens infrequently, but can be a real shock to the homeowner. Ultimately, air ventilation to remove cold, moist air from your attic, is a key component. Many older homes have limited or no soffit venting, and framing designs often lead to making the problem worse. Look in your attic from time to time, to see what is going on up. there. If you are unsure of something, take some pictures and send them to a local insulation company, to evaluate. 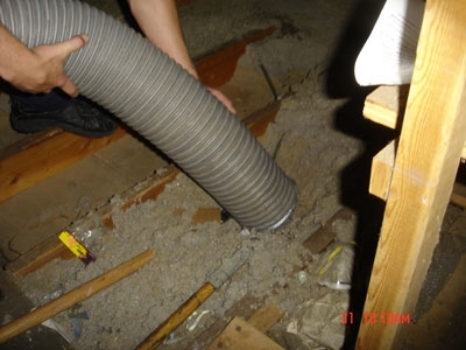 If you are looking at buying a home, have an inspector evaluate your attic ventilation. Make sure all of your fan hoses from the house are connected to roof vents and no moist air is flowing into the attic. Make sure to use your bathroom fans while showering, leaving them on for an extra 15 minutes to completely remove all of the moist air. Check to make sure that your attic hatch is sealed properly with weatherstripping. 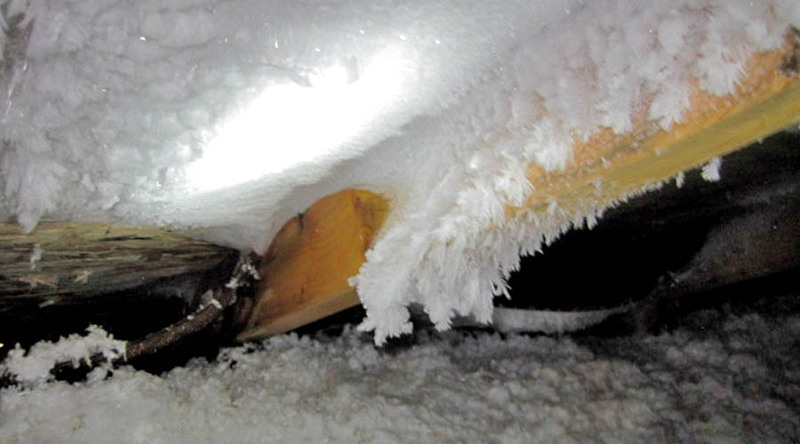 Attic hatches can be a major point of failure for air leaking into the attic. If you experience the problem frequently, consider augmenting your existing attic ventilation to move more air out of the attic. If you don’t have continuous soffit intake venting, consider installing passive roof vents low on your roof slope to act as intake. At the top of your roof line, ensure that you have adequate outtake venting. Consider a whirlybird to move more air. Consider having a power roof fan installed on your roof. It can have a thermostat / humidistat that will turn it on when your attic reaches a certain temperature or humidy level. It will move all of that moist air out of your attic in the winter, and the hot, shingle damaging air, in the winter. Consider having an HRV or Heat Recovery Ventilator installed on your furnace. This will ensure that the damp indoor air in the house is replaced with crisp dry air from outdoors. Upgrade your insulation. If you have a very low level, it will promote more heat loss into the attic, carrying more moisture with it. If you have water spots, you can go up into the attic and check the area above the water stains, and inspect for damage or gaps to the vapor barrier. You can seal these gaps with insulation tape or a can of spray foam, from a home improvement store. You can use a solution of 4 parts water and 1 part bleach to clean these water spots, and possible restore the stained color. Ultimately, ice and frost in the attic is inevitable in most homes, it’s just a matter of degree. Most people would be surprised to find that their roofing nails almost always have frost on them. Usually this frost doesn’t build up too a large mass (short cold spells instead of long very cold periods) and when they do melt off, it’s usually a gradual process that goes unnoticed and is absorbed by the insulation. Nothing can completely prevent attic rain from happening; it’s just something that naturally occurs with the drastic swings in temperatures. Homeowners have a responsibility to mitigate damage by reducing humidity levels in their homes during cold weather. Although builders & homeowners can minimize the moisture reaching the attic by ensuring the air/vapour barrier is as continuous as possible, air leakage into the attic cannot be completely eliminated. Even a small air leak can deposit a significant amount of moisture over a long cold spell if the moisture content of the air is high. New Castle, DE -- (SBWIRE) -- 07/26/2016 -- Energy Services Group places an emphasis on attic insulation by conducting useful home energy audits. 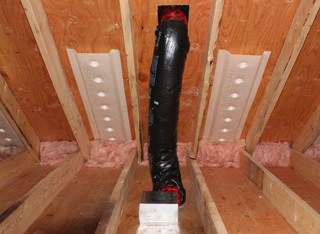 According to ENERGY STAR, many homes and attics are poorly sealed and under-insulated. Because of this, homeowners are paying higher utility bills. By installing proper insulation, one can save up to 10 percent on their home's annual energy bill. Common symptoms of badly sealed and insulated attics are hot and cold rooms, uneven temperature between rooms, drafty rooms, exorbitant utility bills and ice dams on the roof in the winter. Energy Services Group, regarded as the Original House Doctors, understands that most people are unaware that they are losing money because of their attic. Their technicians use specialized equipment during their energy audits to determine how and where one's house is letting their air conditioning and heating slip out, where there is little and no insulation and the efficiency of cooling and heating systems. Calgarians may have barely stirred in their sleep one spring night in 2012 as a small-engine plane flew back and forth over the city’s neighbourhoods at low altitude. But the images collected by a sophisticated, thermal imaging camera on board the aircraft are now waking residents to the financial and environmental cost of the heat that’s silently seeping from their homes. A team of researchers at the University of Calgary used the images and city data to create a web-based map that shows potential greenhouse gas emissions for entire suburbs and pinpoints hot spots in each individual home where waste energy is escaping. The project is the brainchild of geography professor Geoffrey Hay who began wondering four years ago why his recently constructed two-storey home in the Cougar Ridge subdivision was always cold. HOMEOWNERS BEWARE OF ATTIC HEAT! Example of air chutes installed at the soffits, where there is a soffit intake vent. One invisible area of concern, in 90% of homes over 20 years old, is excessive heat in your attic. Excessive heat in your attic can lead to more problems down the road, in both the summer and the winter. In the summer, it will cook the underside of your roof sheathing, and overhead your shingles-- leading to their premature breakdown. It can cause framing rot, and delamination of the roof sheathing as well. In the winter, because Calgary has so many chinooks, it can lead to warm, moist air, building up in your attic, forming large ice build ups, that will melt with the next chinook, and cause water damage on your ceilings. It will also lead to compaction, of your existing insulation material, reducing its effectiveness, and value. Ask us about solving your ventilation problems. We charge very close to our cost, and consider this to be an added service to our customers, and ot a huge money maker. We are in the attic insulation business, but believe we have a responsibility to answer customer concerns about other aspects of their attics. There are two primary causes"
Ensure proper air flow with air chutes, roof vents, and turbines. Upgrade attic insulation will act as the first line of defence, but preventing your expensive heat (in the summer) from leaving your home, and migrating into your attic. Once it is in your attic, however, it's time to say goodbye to that heat. Heat that is trapped in your attic can cause significant problems as outlined above. While there doing your attic upgrade, our installers will take a look at your ventilation situation, and suggest simple, affordable solutions, if any are present. Almost all air flow concerns can be met by installing air chutes at the soffit, where good intake venting is present. 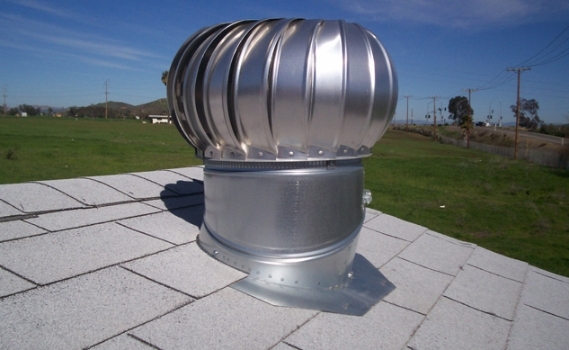 If you don't have good intake venting, we can install several roof vents low on the roofline, to act as intake, all in combination with one or two whirlybird turbines. This should get your air flowing. An added benefit is that in the heat of summer, this heat will be vented out of your attic, instead of dropping back into your home as the evening cools, keeping you cooking all night long! NEW ZEALAND TO RENEW INSULATION SUBSIDIES? While it may seem a little alarmist, I found it interesting to read about a recent study in New Zealand that tied comfort and moisture levels in the home, directly to health outcomes. It turns out that warm well insulated homes may not only be comfy, but might also be a little healthier. I would think that this transposes well to our colder more varied (Chinooks) weather patterns. Two new health reports identifying damp housing as one of the root causes of child illness is further evidence of the need to extend the successful Warm Up New Zealand insulation scheme, Green Party Co-leader Metiria Turei said today. "Getting adequate insulation into kiwi homes isn't a ‘nice to have’; it is a health priority," Mrs Turei said "New research released from the University of Canterbury links poor home heating to increased asthma hospital admissions. "This comes on the back of a report yesterday linking rheumatic fever to damp housing. "New Zealand has one of the highest asthma and rheumatic fever rates among developed countries. Home insulation can play a big part in reducing those rates. "The Warm up New Zealand: Heat Smart programme was negotiated by the Greens as part of our Memorandum of Understanding with National. It has been a success, insulating 200,000 kiwi homes to date. It has created $1.3billion of benefits, mainly in better child health but these reports show there is more to do. Now is the time to ensure the insulation scheme continues and has the opportunity to broaden its reach. We hope the Government extends funding for the scheme in the upcoming budget "Improving conditions inside kiwi homes for the kids that need it most is a priority. Extending the scheme is a common sense way to reduce rates of rheumatic fever and asthma, Mrs Turei said. Most people don't think about attic insulation, when they think about the hot temperatures of summer. This is the kind of thing that insulation contractors in Calgary think about, but not home owners. People ask me, because we advertise "warmer winters & cooler summers", how can insulation help keep my home cool? The first answer, is obvious, if you have air conditioning, better insulation will keep the cold air in, and your air conditioner won't need to run as often, and will be more likely to achieve your desired temperature. More importantly, the second answer is not as obvious, but can be just as important. During the hot day, your home will heat up (as well all know, as we sweat our way through the day) and that heat will rise into your attic. That heat is stored up there, along with the heat penetrating downwards onto your roofing material. When the sun begins to set, and things cool down outside, if your attic is improperly insulated, this heat will sink back down into your home, keeping it insanely hot, hotter than outside, in fact. Anyone that has experienced this, will know what I am talking about. Another advantage of upgrading your insulation, is the fact that we will give you an assessment of your ventilation situation. This is very important in the heat of summer, as you need your attic ventilation to be venting as much of that hot air outside as possible. You wan't to reduce how much can sink back into you home, and you wan't to reduce the potential damage it may cause to your roof sheathing, and shingles. If you would like some more information on the cost of upgrading your attic insulation, or would like us to schedule an appointment to come by and give you an assessment, don't hesitate to call, or use our Grab-A-Quote interface. Summer is a good time to upgrade your insulation, for your sweat glands, and your pocket book. 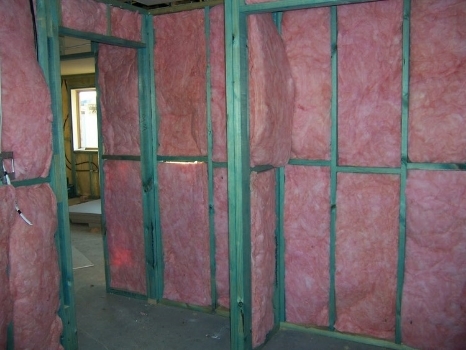 Think about insulation when planning out your summer home renovation projectRenovation season is here ! 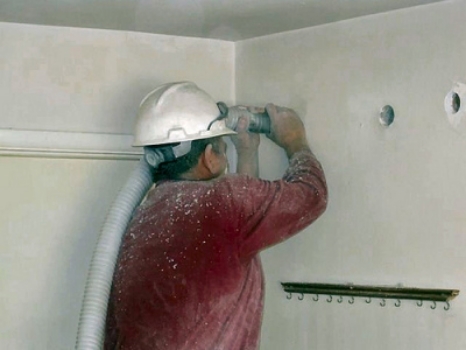 It's spring, and its time for all of us to get going on our own home renovation projects. For some, this may be a simple flower bed upgrade, and for others, it may mean the addition of a kitchen expansion, the addition of a second floor on a bungalow, or finally devloping that basement you never use. Insulation is not a cosmetic aspect of your home, so it's often overlooked when planning a renovation. It's not as beautiful as new kitchen countertops, but it can help pay for those new countertops by saving you up to 40% off your current heating and cooling costs. When planning your renovation, here are a few areas you should consider improving, while you are making a mess in your home. Upgrade your attic. It gives you the best return on your investment, it's simple, and doesn't really affect any other areas of your home. If you have a home that is more than 15 years old, you can probably save significant money on energy costs, especially during our bitter winter season, in Calgary. Inspect and upgrade your ventilation in the attic. If you are planning on a new roof, there is nothing more important than ensuring that your roof is protected from below, from searing heat that may build up in the summer, and frozen moisture that may build up in the winter. Ensure that you have air intake at your soffits, and make sure that you have adequate outflow of air, via roof vents and turbines. 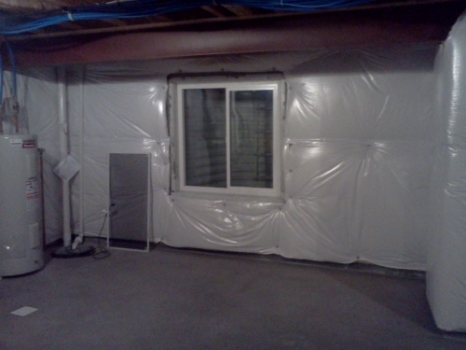 Basement insulation. The second leading cause of heat loss in an older home is typically poor, or no, insulation in the basement, particularly in the "header" and "joist end" areas at the top of your concrete frost wall. This is an service that we offer, that is often overlooked. Even if you are not developing your basement, please make sure that you have adequate exterior frost wall insuation, and that you have no drafts or cold air penetration through your joist end spaces. We offer a full line of fiberglass, spray foam, and even reflective insulation to combat heat loss. Draft proof other areas of your home, on the exterior walls. This is a great DIY project. You can buy outlet gaskets at your local home improvement store, and add caulking around those drafty window and door casings. This is also a great time to ensure that you have good weatherstripping on your exterior doors as well. Don't forget about your garage attic. Many modern homes have an attached garage and they often have a shared attic space. Most new homes have less or even zero, attic insulation in the garage portion. This can lead to significan cold infiltration into your home, and causes a convective effect, drawing heat out of your common garage wall. Be kind to your electrician. If you are doing major electrical work up in your attic, or you are adding a second floor onto your bungalow, please remember that we offer full insulation removal services. Trust me, this is something you don't want to tackle yourself. We often get calls from frantic homeowners who start removing their insulation with shop vacs, and shovels, and garbage bags. When we empty our five ton truck at the dump, and it contains 2 tons of material that we just vaccumed out of someones attic, I often wonder "who does this by hand ?" Pleae remember that this is a great time of the year to get some insulation work done because the cost of labour is lower, and everyone is not stressed out about cold winter days. Give us a call, and get a free onsite estimate, to see what areas we can improve, and save some money this winter !